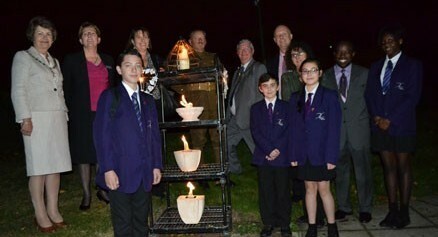 A manager shares plans for a really special event commemorating residents’ memories and the war experiences of them and and their families – with a theme of forgiveness. It all started when our local MP realised that the children in our area didn’t really know that much about the history of the area and wanted to encourage them to do a school project. Our care home is actually built on former munitions factory land and of course lots of our residents have first-hand experience of what the war was like! We decided that we wanted to do something a little bit different what you might expect from a war commemoration so we started thinking about a theme of forgiveness. After a quick Google search for ‘forgiveness’, we found out about The Forgiveness Project. They have already developed a pack for schools which they gave us to use so a lot of the work was done for us! While our residents weren’t involved in the First World War (which is the main focus of Flame of Forgiveness because of the anniversary), a lot of their parents were and they have a lot of memories of the aftermath of the war and tales of their parents. Of course almost everyone has a story about their experiences in WW2. In Woolwich there was an enormous weapons factory which employed a lot of local people, so quite a few of our residents were remembering their family members’ time there. It’s a serious subject of course, but thinking about forgiveness has meant that it can be something really joyful for everyone. It’s a serious subject of course, but thinking about forgiveness has meant that it can be something really joyful for everyone. So we’ve been welcoming the schoolchildren into the home over the year, and they’ve been speaking to our residents about their memories from that time. Using these memories the children have developed poetry, music and will give their thoughts on forgiveness at our launch event which is planned for Tuesday 6th October. 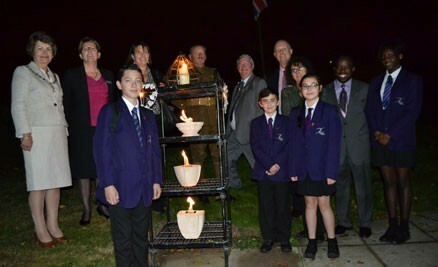 We’re planning to have a simple torch beacon being symbolically lit jointly by the oldest care home resident and one of the school children, in the care home garden, overlooking the River Thames. We’ve got a great list of people coming along, including Andrea Sutcliffe from CQC and Teresa Pearce, our MP, who started it all! Flame of Forgiveness is spread over a fortnight so that we can have lots of opportunities for people to get involved somehow – we’ve got further memory sessions planned throughout the fortnight. It also means that if any of our residents aren’t feeling up to it on the day of our launch event, they won’t be missing out. Maggie Candy is the manager of Marlborough Court Care Home in Thamesmead. The image shown with this story is from last year’s event.